Your data is precious to you - and to hackers! More data than you may think is stored on your computer. Each website you visit leaves a 'Cookie' on your computer. A cookie is a small file which contains information about the website you are visiting. They are not all bad - They are what makes a website remember that you have been there before. As an example, going to Facebook and you are already logged in - That's because of a Cookie. Cookies can slow down your computer if you do not delete them regularly and can help hackers into your personal data. An antivirus, although much needed, does not offer you protection on the day-to-day use of your computer. Common threats are turning towards malware, unwanted programmes to force advertising and the dreaded ransomware - Where your files are encrypted (Password protected) by hackers and held ransom asking for a fee to be paid. So, as with anything, prevention is cheaper than cure and can save you downtime, along with the knowledge that your files are protected from these attacks. If you've been to the shop recently, you will have seen Bullguard. It's the only internet security software we stock as it is reliable, easy to use, offers first-class protection, winning awards for protection 3 years running and most of all, it's affordable to our customers. Plus, it's just £24.99 for 1-year protection! 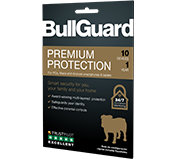 If ever you need it, you can also contact BullGuard using their 24 hour online chat feature! Get in touch and we will discuss your options and make sure you have the right security for your needs! Hi guys, I just wanted to share something quite shocking that I’ve just found out. That statement has stayed with me all week and has set me the goal of calculating how much E-Waste we stop going to landfill in store. When we launched back in August last year, we started the ‘Fix It – Don’t Trash It’ campaign. We want to show you how much more affordable it is to repair your tech as opposed to replacing it. Watch this space – This time next year we will be releasing a report on how much we’ve saved from landfill. To find out more about our eco-pledge, please feel free to get in touch and we would be more than happy to tell you how you can reduce e-waste and your utility bills by using your tech in a more eco-friendly way! 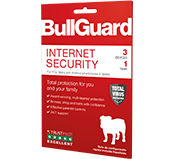 We are now partners for Bullguard Internet Security! 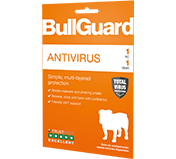 "The Best Malware Protection In The World"
BullGuard won the coveted Gold Malware Protection Award from AV-Comparatives! Windows, Mac, Android - We cover them all! Thought I would write up a quick post to introduce us and give you a bit of an update. So, we are Derbyshire Computer Services LTD. Run by Keiran and Andy, we are currently in the process of taking over Reid and Gosi LTD on Eden Road in Chaddesden. Once this is complete, we will be taking over the shop and bringing with us a wealth of experience and some great new ideas! During the period of transition, we hope to create minimal disruption to existing customers. We will be doing the rounds to introduce ourselves to business customers as well as being around in the shop over the next few weeks, so pop in and say hello - We're really looking forward to meeting you all! As we take this small computer shop into its 3rd generation (Fleetwood Computers - Reid and Gosi LTD - Derbyshire Computer Services LTD), we hope to carry on the tradition as well as bring in some exciting new ideas and products. So guys, that's it in a nutshell. Over the next couple of weeks, we will be updating our Facebook page with details of when we take over the page and will keep all customers up-to-date with details.